ALD is booming despite a flat year for semiconductor equipment spending because of investments for 10 nm that mean additional layers of ALD space defined multiple patterning compared to 14 nm. The BALD Engineering blog is growing in Asia recently - makes sense that´s where those ALD Fabs are located! Still though the top three is USA, France and Germany. Also very existing - I am very proud to welcome NCD an ALD Equipment Manufacturer from South Korea - the first blog sponsor from Asia. More to come on NCD in the next days! 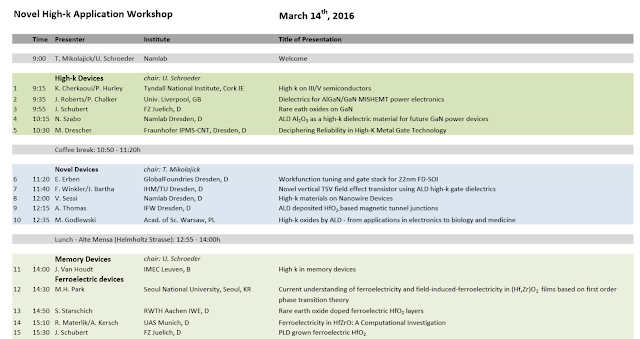 WODIM 2016, the 19th Workshop on Dielectrics in Microelectronics, which takes place from 27-30 June 2016 at the Hotel Baia Verde, Aci Castello (Catania), Italy. This event is hosted by the Italian National Research Council (CNR) - Institute for Microelectronics and Microsystems (IMM), and celebrates the 10th anniversary of the last time the workshop was held in Italy. Please send your 2 page abstract (including figures) preferably by e-mail (MS Word or pdf file) to wodim2016@imm.cnr.it, or e-mail to the Chair. During submission include with the abstract the author information form. Please state your preference for oral or poster presentation, as indicated in the author information form. Submissions will be acknowledged and final notification will be sent in mid April 2016. Some years ago Veeco acquired a company founded by SI Lee, Synos Technology, who shipped a first Prototype System for FAST-ALD™ for OLED encapsulation to Samsung in 2013 (here). Since then Veeco has moved on from OLED taking this technology to the semiconductor wafer based manufacturing. Now Veeco report that they have demonstrated high-quality silicon nitride films at temperatures below 250 degrees using their FAST-ALD technology on customer wafers. They have garnered interest from multiple memory manufacturers and have started expanding their customer engagements for FAST-ALD technology. “First of all, strong customer pull because they had an unmet need to put down silicon nitride at very low temperatures. And so we've seen strong customer pull from the customers and we've developed the deposition tools for that market and are generating very good film quality, so the things that our customers have told us they can't get with other approaches.” said John Peeler Veeco CEO in a recent Q4 2015 Results - Earnings Call (transcript by Seeking Alpha, see below). Low temperature silicon nitride ALD is one of the fastest growing layer applications scaling down node by node for both Logic and Memory devices. Low temperature nitride can be employed for multi patterning techniques and growth is due to take over from LPCVD and PECVD as well as for new layer applications. According to John Peeler Veeco is also exploring partnerships with existing front-end semi equipment providers to commercialize this technology. “We are looking to do it with a partner who is already established in that market. But that's what's caused us to keep investing, and I think you are right, ultimately it is a win-win, because we are either going to drive revenue and profit from a whole new application which I think will be a big benefit to us, or we'll say, we're going to get out of this because we can't make it successful.” Said John Peeler. “In terms of how our R&D investments are distributed across various product lines, we generally do not provide a granular view on that. However, we are investing in ALD as John talked about and we are quite optimistic about that.” Said Shubham Maheshwari, CFO Veeco. According to a recent Earnings call with Brooks Automation CEO Stephen Schwartz they see growth for 10 nm and ALD. Many ALD OMEs uses Brooks vacuum robotics to cluster their wafer based ALD process chambers, Two such examples are Jusung Engineering and Picosun. It is also interesting and for sure also fantastic to see how ALD is often reported as its own business segment these days. Here is a good example on how Brooks Automation segments the market to Deposition, Etch and ALD. PVD and CVD is just bunched together into deposition with sol-gel and other - those guys are just not cutting edge anymore. ASM International is the leading OEM for ALD and therefore interesting to follow in more detail. As announced here before on the ALD news blog, ASM International held an Q4/2015 earnings call on Wednesday 24 February. Here are some of the highlights with respect to ALD from that call. The full transcript of the call is available through Seeking Alpha (here). The webcast play back is also available at ASM´s web (here). ALD was again the key driver behind the growth in revenue in 2015 and accounted for clearly more than half of our total equipment revenue. ASM has broadened their customer base beyond the traditional top three and had a growing contribution from the top 4 to top 10 customers. The share of ALD of the total deposition equipment market will further increase. More of the critical patterning steps at 10-nanometer will require spacer-defined double patterning based on single-wafer/mini-batch ALD. 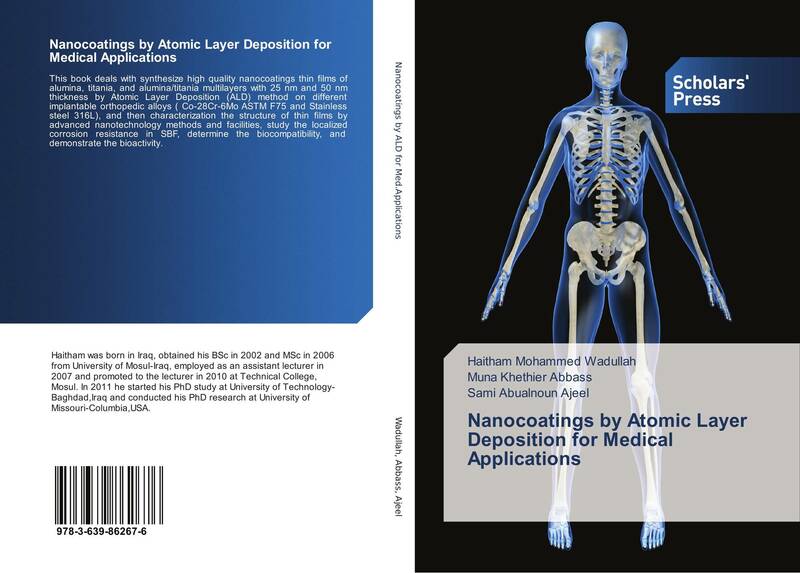 This book deals with synthesize high quality nanocoatings thin films of alumina, titania, and alumina/titania multilayers with 25 nm and 50 nm thickness by Atomic Layer Deposition (ALD) method on different implantable orthopedic alloys ( Co-28Cr-6Mo ASTM F75 and Stainless steel 316L), and then characterization the structure of thin films by advanced nanotechnology methods and facilities, study the localized corrosion resistance in SBF, determine the biocompatibility, and demonstrate the bioactivity. Picosun has updated with 2016 version of their ALD Product line. Please find them all accessible below as pdf documents. 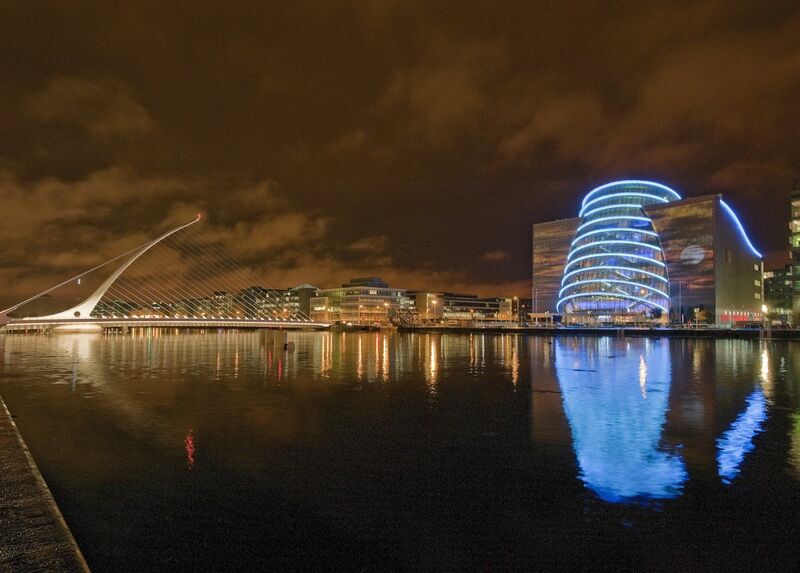 For those of you following this blog you know hat ALD is in a continous boom since some time. Picosun Oy, today announce thet they see a strong growth and rapid expansion in the global industrial markets (Press release). Today Picosun has more than 50 emloyees and are growing. The company is actually twice the size of ASM Microchemistry today that was fully aquired by ASM International in 1999 (link). The total value of the company’s new tool orders increased 41 % in the calendar year 2015. Picosun has been growing at a double-digit rate for several consecutive years. Team Picosun, today counting > 50 employees. “We are happy that we got so many interesting new customers, but even happier we are with the growth of our repeat sales. It tells us that we have done lots of things right,” states Mr. Kustaa Poutiainen, Chairman of the Board and Chief Executive Officer of Picosun. A significant part of the growth consisted of the deliveries of PICOPLATFORM™ vacuum cluster systems and automated PICOSUN™ P-series cassette loading batch tools to leading semiconductor industry customers in Asia and USA. “Our aim is to produce ALD tools of the highest quality. They have been well received in industrial markets,” Mr. Poutiainen continues. Picosun is also expanding its production capacity and personnel amount. In key role are especially the new subsidiaries in the central market areas such as Asia. The latest addition is the Japan unit starting in Q2/2016. “Hiring new professionals, not only here in Finland but all over our worldwide subsidiary network, and extending our production facilities is crucial to enable even bigger success for our brand. The future looks bright for Picosun,” states Mr. Poutiainen. Maria Asplund from Sweden, since April 2013 appointed a Junior Group Leader for the Cluster of Excellence BrainLinks-BrainTools at the University of Freiburg and her doctoral candidate Christian Böhler has provided the foundations for a new molecular storage method using ALD. The method could find its way into clinical practice in the foreseeable future. The team have succeeded in creating a compound of organic and inorganic materials that is particularly well suited for the compact storage of pharmacologically active substances. 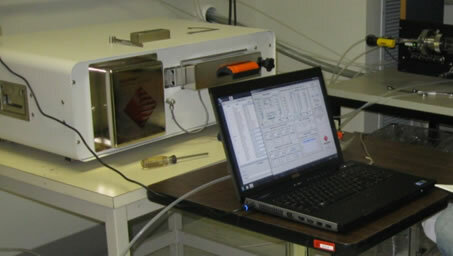 The method involves an ALD ZnO layer that was deposited in a hot wall reactor OpAL - manufactured by Oxford Instruments. The full story is available here in PhysOrg and in the open access publication below. On-demand release of bioactive substances with high spatial and temporal control offers ground-breaking possibilities in the field of life sciences. However, available strategies for developing such release systems lack the possibility of combining efficient control over release with adequate storage capability in a reasonably compact system. In this study we present a new approach to target this deficiency by the introduction of a hybrid material. This organic-inorganic material was fabricated by atomic layer deposition of ZnO into thin films of polyethylene glycol, forming the carrier matrix for the substance to be released. Sub-surface growth mechanisms during this process converted the liquid polymer into a solid, yet water-soluble, phase. This layer permits extended storage for various substances within a single film of only a few micrometers in thickness, and hence demands minimal space and complexity. Improved control over release of the model substance Fluorescein was achieved by coating the hybrid material with a conducting polymer film. Single dosage and repetitive dispensing from this system was demonstrated. Release was controlled by applying a bias potential of ±0.5 V to the polymer film enabling or respectively suppressing the expulsion of the model drug. In vitro tests showed excellent biocompatibility of the presented system. Next week we at ALD Lab Dresden will meet up with Jeff Spiegelman, Founder and President of RASIRC to discuss some new technologies for delivery of difficult to deliver ALD co reactants. I am now happy to see the product release of the Brute Peroxide H2O2 (see press release below) is here. We had an early version of this on an ASM Pulsar 3000 some time ago here in Dresden. As you can see in the picture below the design you can fit this unit into basically any ALD gas box on the market and just like that you have access to highly concentrated H2O2 - clever design indeed! RASIRC released research results showing that anhydrous hydrogen peroxide gas enables a five-fold increase in surface hydroxyl density when compared to water in studies involving ALD nucleation on SiGe substrates. Hydroxyl density is an important factor in minimizing interfacial defects, increasing uniformity and improving next generation semiconductor device performance. BRUTE Peroxide provides a stable, reliable flow of anhydrous hydrogen peroxide for atomic layer deposition (ALD) and atomic layer etch (ALE). RASIRC products generate specialty gases from liquid sources to meet the demands of next generation semiconductor manufacturing. Veeco Instruments reported that it has signed a joint development project (JDP) agreement with imec, a Belgium-based nano-electronics research center, to accelerate the development of Gallium Nitride (GaN) based, power electronic devices using GaN Epi wafers. Under the development project, the GaN Epi wafers will be created using Veeco’s Propel Power GaN metal organic chemical vapor deposition (MOCVD) system. 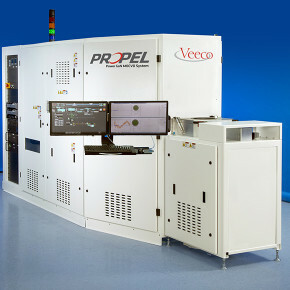 Veeco’s Propel® Power GaN MOCVD system. Imec has already demonstrated significant gains in GaN layer uniformity and run-to-run repeatability with Veeco’s Propel system, resulting in significantly improved power device yields. The single wafer reactor incorporates Veeco’s proprietary TurboDisc® technology that delivers superior film uniformity, run-to-run control and defect levels compared to batch reactors. In the Virtual Project on the History of ALD (VPHA, http://vph-ald.com), we are collecting together a list of doctoral theses (PhD-equivalent) made on ALD worldwide. The list is planned to be published in the VPHA ALD History Review, Item #10 in the VPHA Publication Plan. Participation in VPHA is volunteer-based and open for everyone. As reported by TU Munich in EurekAlert! : Physicists at the Technical University of Munich (TUM) have developed a nanolaser, a thousand times thinner than a human hair. Thanks to an ingenious process, the nanowire lasers grow right on a silicon chip, making it possible to produce high-performance photonic components cost-effectively. This will pave the way for fast and efficient data processing with light in the future. "Today already, transistors are merely a few nanometers in size. Further reductions are horrendously expensive," says Professor Jonathan Finley, Director of the Walter Schottky Institute at TUM. "Improving performance is achievable only by replacing electrons with photons, i.e. particles of light." Brookhaven National Laboratory reports: Graphene, the two-dimensional powerhouse, packs extreme durability, electrical conductivity, and transparency into a one-atom-thick sheet of carbon. Despite being heralded as a breakthrough "wonder material," graphene has been slow to leap into commercial and industrial products and processes. Now, scientists have developed a simple and powerful method for creating resilient, customized, and high-performing graphene: layering it on top of common glass. This scalable and inexpensive process helps pave the way for a new class of microelectronic and optoelectronic devices—everything from efficient solar cells to touch screens. What is limiting low-temperature atomic layer deposition of Al2O3? Low temperature ALD has a number of application for applications that can not cope with high temperature like flexible electronics and display technologies where Al2O3 is typically used as a barrier material against moisture or as in insulating dielectric. Here is an interesting study from Vincent Vandalon and Erwin Kessels at TU Eindhoven aiming at revealing what is limiting the growth at low temperatures. They have investigated the surface chemistry of ALD Al2O3 using a technique called broadband sum-frequency generation (BB-SFG). BB-SFG is interface selective with a sub-monolayer sensitivity for –CH3 groups and with fairly short acquisition times. the measured signals are directly correlated to the absolute surface density of the specie. the simultaneous detection of species which are changing after an ALD halfcycle and species which are persistent over the ALD halfcycles. The surface reactions during atomic layer deposition(ALD) of Al2O3 from Al(CH3)3 and H2O have been studied with broadband sum-frequency generation to reveal what is limiting the growth at low temperatures. The –CH3 surface coverage was measured for temperatures between 100 and 300 °C and the absolute reaction cross sections, describing the reaction kinetics, were determined for both half-cycles. It was found that –CH3 groups persisted on the surface after saturation of the H2O half-cycle. From a direct correlation with the growth per cycle, it was established that the reduced reactivity of H2O towards –CH3 is the dominant factor limiting the ALD process at low temperatures. Here is a recent paper from Prof. Stairs and Prof. Van Duyne research groups at North Western University on using surface-enhanced Raman spectroscopy (SERS) for studying ALD growth for the first time. Thanks Vincent Vandalon for sending me this information! SERS overcomes the sensitivity limitations of normal Raman scattering because of excitation of localized surface plasmon resonances (LSPRs) that result in enhanced electromagnetic fields around noble metal nanostructures such as Ag, Au, and Cu. The high sensitivity and distance dependence of SERS make it possible to evaluate the location of ALD deposits with respect to the enhancing substrate. Prof. Richard P. Van Duyne is the discoverer of Surface-enhanced Raman Spectroscopy (1977), the inventor of Nanosphere Lithography (1995) and Localized Surface Plasmon Resonance Spectroscopy (2000). More information can be found here. This work demonstrates for the first time the capability of measuring surface vibrational spectra for adsorbates during atomic layer deposition (ALD) reactions using operando surface-enhanced Raman spectroscopy (SERS). We use SERS to study alumina ALD growth at 55 °C on bare silver film-over nanosphere (AgFON) substrates as well as AgFONs functionalized with thiol self-assembled monolayers (SAMs). On bare AgFONs, we observe the growth of Al-C stretches, symmetric C-H and asymmetric C-H stretches during the trimethylaluminum (TMA) dose half-cycle and their subsequent decay after dosing H2O. Al-C and C-H vibrational modes decay in intensity with time even without H2O exposure providing evidence that residual H2O in the ALD chamber reacts with –CH3 groups on AgFONs. The observed Al-C stretches are attributed to TMA dimeric species on the AgFON surface in agreement with density functional theory (DFT) studies. We observe Al-C stretches and no thiol vibrational frequency shifts after dosing TMA on AgFONs functionalized with toluenethiol and benzenethiol SAMs. Conversely, we observe thiol vibrational frequency shifts and no Al-C stretches for AgFONs functionalized with 4-mercaptobenzoic acid and 4-mercaptophenol SAMs. Lack of observed Al-C stretches for COOH- and OH-terminated SAMs is explained by the spacing of Al-(CH3)x groups from the SERS substrate. TMA penetrates through SAMs and reacts directly with Ag for benzenethiol and toluenethiol SAMs and selectively reacts with the –COOH and –OH groups for 4-mercaptobenzoic acid and 4-mercaptophenol SAMs, respectively. The high sensitivity and chemical specificity of SERS provides valuable information about the location of ALD deposits with respect to the enhancing substrate. This information can be used to evaluate the efficacy of SAMs in blocking or allowing ALD deposition on metal surfaces. The ability to probe ALD reactions using SERS under realistic reaction conditions will lead to a better understanding of the mechanisms of ALD reactions. Jokes aside, if you want to get in there in porous material with large surface area and not have endless purge times to get the water out of there O2 is a very good choice - why didn´t I write that in my thesis? This must be the way also for particle ALD coatings. As a side information, they used a Von Ardenne LS400C ALD-MOCVD reactor and you can find more information here about that one. Since this post anyway got sort of personal I can admit that Von Ardenne is my next door neighbor and that they have one of the coolest locations (photo above) you can think of. If you come to Dresden let me know and I will show you. Solid oxide fuel cells (SOFCs) directly convert the chemical energy of fuels into electrical energy with high efficiency. Under certain conditions oxygen can diffuse to the Ni/8 mol% Y2O3-doped ZrO2 substrate of anode-supported SOFCs, then the nickel re-oxidizes, leading to cracks in the electrolyte and cell failure thus limiting the durability of SOFCs. In order to improve the stability of SOFCs with respect to oxidation, the inner surface of the porous substrate is coated with a ZrO2 oxidation resistance layer using atomic layer deposition (ALD) with the precursors tetrakis(ethylmethylamino)zirconium (TEMAZ) and molecular oxygen. This TEMAZ/O2–ZrO2 ALD process has not yet been reported in the literature and hence, the development of the process is described in this paper. The inner surface of the porous substrate is coated with ZrO2 and the film thickness is compared with theoretical predictions, verifying the ALD model. Furthermore, the coating depth can be estimated using a simple analytical equation. The ALD ZrO2 film protects the nickel in the substrate against oxidation for at least 17 re-oxidation/re-reduction cycles. The ZrO2 inner surface coating is a highly promising candidate for enhancing the resistance of SOFCs to re-oxidation because of the excellent oxidation resistance and good cycling stability of the film. Samsung Advanced Institute of Technology and Samsung-SKKU Graphene/2D Center showcases ALD HfO2 high-k transistors on mono layer graphene channels using 200 mm glass wafers. 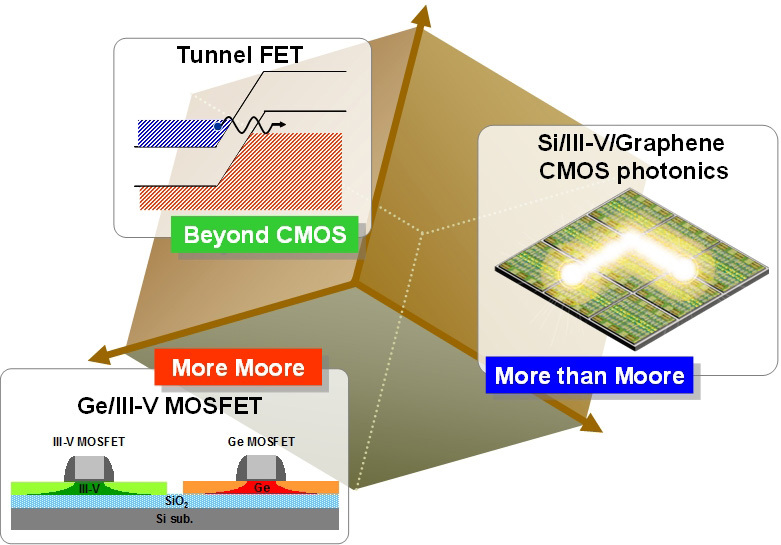 The ALD Process is TEMAHf/H2O running at 200 C and they achieve a CET of ~1.5 nm from an array of top-gated metal-oxide-graphene field-effect transistors. Check out the free to down load Nature Scientific Report below. Thickness scaling of atomic-layer-deposited HfO2 films and their application to wafer-scale graphene tunnelling transistors. Sci. Rep. 6, 20907; doi: 10.1038/srep20907 (2016). The downscaling of the capacitance equivalent oxide thickness (CET) of a gate dielectric film with a high dielectric constant, such as atomic layer deposited (ALD) HfO2, is a fundamental challenge in achieving high-performance graphene-based transistors with a low gate leakage current. Here, we assess the application of various surface modification methods on monolayer graphene sheets grown by chemical vapour deposition to obtain a uniform and pinhole-free ALD HfO2 film with a substantially small CET at a wafer scale. The effects of various surface modifications, such as N-methyl-2-pyrrolidone treatment and introduction of sputtered ZnO and e-beam-evaporated Hf seed layers on monolayer graphene, and the subsequent HfO2 film formation under identical ALD process parameters were systematically evaluated. The nucleation layer provided by the Hf seed layer (which transforms to the HfO2 layer during ALD) resulted in the uniform and conformal deposition of the HfO2 film without damaging the graphene, which is suitable for downscaling the CET. After verifying the feasibility of scaling down the HfO2 thickness to achieve a CET of ~1.5 nm from an array of top-gated metal-oxide-graphene field-effect transistors, we fabricated graphene heterojunction tunnelling transistors with a record-low subthreshold swing value of <60 mV/dec on an 8″ glass wafer. Finnish Centre of Excellence in ALD (ALDCoE) welcomes you to a combined HERALD Working group 2 workshop and 4th annual seminar of ALDCoE to be held May 23-24, 2016 in Helsinki, Finland. The topics of the two-day event will include precursor and process development, including in situ studies, for ALD. Invited talks and poster contributions from both industry and academia will give a broad overview on the latest advancements on the topic. For more details and registration, go to: http://www.aldcoe.fi/herald/index.html Registration is free of charge (number of attendees is limited) and now open at the event website. Check out also the available sponsorship opportunities. Registration is now open until April 21! February 24th will be a busy day for ALD - the Versum Materials call and then the ASMi 4Q/2015 Conference Call and Webcast. If anything interesting with respect to ALD comes up I will let you all know here on the blog. 6:00 p.m. US Eastern Time - Tuesday, February 23, 2016. ASM International will host an investor conference call and web cast on Wednesday, February 24, 2016 at 15:00 Continental European Time (9:00 a.m. - US Eastern Time). Air Products Materials Technologies, the business that is planned to spin off as Versum Materials, will hold an introductory call for investors and analysts on Wednesday, 24 February, 2016 at 10:00 a.m. ET. The purpose of the call will be to share with investors and analysts specific details on Versum Materials' business, products, customers, and previously disclosed financials. As reported in a press release here. "The Versum Materials logo was designed to represent the action of moving forward, energy and forward-thinking ideas to take flight," Guillermo Novo, who will become Versum Materials' CEO, said in a news release. Leading the teleconference will be Versum Materials' leadership team members Guillermo Novo, previously announced to become CEO of Versum Materials, and George Bitto, who is to serve as chief financial officer and information technology director. The teleconference also will be open to the public and the media in listen-only mode by telephone and internet broadcast. There will be a Q&A period for investors and analysts at the end of the call. As a follow-up to this teleconference, additional information will become available on Versum Materials as we move closer to the spin-off date, which we expect to occur prior to September 2016. Available from 2 p.m. ET on February 24 through 2 p.m. ET on March 2, 2016. Here is more ALD MOF work just published in Chemistry of Materials. Or rather AIM-ME = atomic layer deposition in metal–organic frameworks (MOFs) and metal exchange (ME) as a technique to install dispersed metal atoms into the mesoporous MOF. The ALD depositions were performed in a Savanah S100 system from Ultratech Cambridge Nanotech using a home build stainless steal powder reactor insert. Abstract is given blow. The combination (AIM-ME) of atomic layer deposition in metal–organic frameworks (MOFs) and metal exchange (ME) is introduced as a technique to install dispersed metal atoms into the mesoporous MOF, NU-1000. Zn-AIM, which contains four Zn atoms per Zr6 node, has been synthesized through AIM and further characterized through density functional calculations to provide insight into the possible structure. Zn-AIM was then subjected to modification via transmetalation to yield uniform porous materials that present nonstructural Cu, Co, or Ni atoms. Researchers led by TSMC R&D Europe B.V. in Leuven Belgium (Imec) and Lund Sweden (Lund Nano Lab), claim the first demonstration of an unstrained indium arsenide (InAs) fin field-effect transistor (finFET) with 20nm fin height (Hfin) [R. Oxland et al, IEEE Electron Device Letters, published online 29 January 2016]. The team also included researchers from University of Glasgow in the UK, Texas State University in the USA, and TSMC in Taiwan. The gate insulation consisted of 5nm ZrO2 deposited by ALD, yielding an 1.2 nm equivalent oxide thickness (EOT). Full story here by Mike Cooke in Semiconductor Today and the IEEE Electron Devices abstract below. Oxland, R. Li, X. ; Chang, S. ; Wang, S. ; Vasen, T. ; Ramvall, P. ; Contreras-Guerrero, R. ; Rojas-Ramirez, J. ; Holland, M. ; Doornbos, G. ; Chang, Y. ; Macintyre, D. ; Thoms, S. ; Droopad, R. ; Yeo, Y. ; Diaz, C. ; Thayne, I. ; Passlack, M.
We report the first demonstration of InAs FinFETs with fin width Wfin in the range 25–35 nm, formed by inductively coupled plasma etching. The channel comprises defect-free, lattice-matched InAs with fin height Hfin = 20 nm controlled by the use of an etch stop layer incorporated into the device heterostructure. For a gate length Lg = 1 nm, peak transconductance gm,peak = 1430 µS/µm is measured at Vd = 0.5 V demonstrating that electron transport in InAs fins can match planar devices. Graphene has a big problem - it lacks a bandgap which is needed for many electronic devices and this has led searching of alernate 2D materials. Most focus today is on transition metal dichalcogenides (TMDs). One of the most promising TMDs is molybdenum disulfide (MoS2) with a bandgap (∼1.2 eV) for bulk MoS2 and a direct bandgap (∼1.8 eV) in the mono layer form monolayer. Some weeks ago it was reported that ALD sales booming for Arradiance GEMStar XT line. Here is an Open Source paper in JVSTA on depositing 2D MoS2 by alternate pulsing of MoCl5 and H2S on 6 inch wafers using an Arradiance GEMStar ALD reactor by School of EECS, Oregon State University and Sharp Lab of America. Here you can find more details on the research and facilities of Prof. John F. Conley`s Novel Materials and Devices Group at Oregon State: http://web.engr.oregonstate.edu/~jconley/facilities.html. In Addition to the Arradiance GEMStar they are operating a Picosun SUNALE R-200 200mm Plasma Enhanced ALD system. 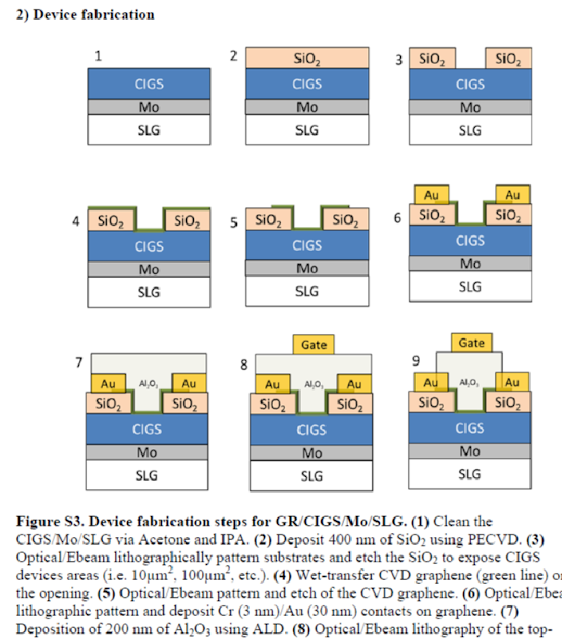 Arturo Valdivia, Douglas J. Tweet and John F. Conley Jr.
Low temperature atomic layer deposition(ALD) of monolayer to few layer MoS2 uniformly across 150 mm diameter SiO2/Si and quartz substrates is demonstrated. Purge separated cycles of MoCl5 and H2S precursors are used at reactor temperatures of up to 475 °C. Raman scattering studies show clearly the in-plane (E12g) and out-of-plane (A1g) modes of MoS2. The separation of the E12g and A1g peaks is a function of the number of ALD cycles, shifting closer together with fewer layers. X-ray photoelectron spectroscopy indicates that stoichiometry is improved by postdeposition annealing in a sulfur ambient. High resolution transmission electron microscopy confirms the atomic spacing of monolayer MoS2 thin films. Further speakers, profiles and the conference programme will be published soon. Please check back for information. Here is yet another update from Beneq on their new Spatial ALD technology: In November last year, we shared the first news about our new spatial ALD equipment that works with moving sheet substrates. We also promised our dear readers more information later about how we would make spatial ALD bigger, faster and more flexible. Now we have been running pilots with different materials for a couple of months, and it is time to keep that promise and share more details. NaMLab in Dresden, RWTH Aachen,Germany, KU Leuven, Belgium and Samsung has quite successfully since some years been collaborating on further high-k development for sub 20 nm DRAM. The research is lead by Uwe Schröder (ex-Qimonda High-k Principal) and Kyhyo Cho from Samsung. Here is a recent paper on how to push the ZrO2 based high-k further to even lower CET and leakage performance by introducing SrO inter layer high-k. Please enjoy this open source publication - abstract is given below. During dynamic random access memory (DRAM) capacitor scaling, a lot of effort was put searching for new material stacks to overcome the scaling limitations of the current material stack, such as leakage and sufficient capacitance. In this study, very promising results for a SrTiO3 based capacitor with a record low capacitance equivalent thickness value of 0.2 nm at target leakage current are presented. Due to the material properties of SrTiO3 films (high vacancy concentration and low band gap), which are leading to an increased leakage current, a physical thickness of at least 8 nm is required at target leakage specifications. However, this physical thickness would not fit into an 18 nm DRAM structure. Therefore, two different new approaches to develop a new ZrO2 based DRAM capacitor stack by changing the inter-layer material from Al2O3 to SrO and the exchange of the top electrode material from TiN to Pt are presented. A combination of these two approaches leads to a capacitance equivalent thickness value of 0.47 nm. Most importantly, the physical thickness of <5 nm for the dielectric stack is in accordance with the target specifications. Detailed evaluation of the leakage current characteristics leads to a capacitor model which allows the prediction of the electrical behavior with thickness scaling. High mobility Germanium is one of the most promising channel materials for future Logic, perhaps even at 7nm. Here is an open source paper (see abstract below) on using TEMAHf/H2O process for growing high symmetry cubic HfO2 on high mobility Germanium channel. It´s a joint work by University of Tokyo, Japan, and Zhejiang University, China. Until now all silicon based channel gate dielectrics are typically performed by using the HfCl4/H2O process. However, now moving too alternate high mobility channel materials like Germanium, InGaAsand other III/Vs it seem that the gate stack people will revisit the MO-precursors again - interesting! We have demonstrated a low temperature formation (300 °C) of higher-k HfO2 using atomic layer deposition(ALD) on an in-situ thermal oxidation GeOx interfacial layer. It is found that the cubic phase is dominant in the HfO2film with an epitaxial-like growth behavior. The maximum permittivity of 42 is obtained for an ALD HfO2film on a 1-nm-thick GeOx form by the in-situ thermal oxidation. It is suggested from physical analyses that the crystallization of cubic phase HfO2 can be induced by the formation of six-fold crystalline GeOxstructures in the underlying GeOx interfacial layer. Here is a very interesting paper on conformal coatings of various metal coated carbon nano particles not using ALD - so you should all be aware of this competition! The paper from Australian researchers has a Creative Commons open source and is given below. Thre paths for conformal coatings are reported and visualized in the the overview below. Tianyu Yang, Huajuan Ling, Jean-Francois Lamonier, Mietek Jaroniec, Jun Huang et al. If you haven´t booked a trip to Dresden Germany yet you should think about doing so now! This is foor you who are interested in Novel High-k devices & applications, Memory devices including RRAM & Ferroelectric memory, Solar cells, CVD, ALD, PVD and Atomic Layer Etching.